Congratulations! I’d wager there were lots of cheers and clapping after the test? I really like your blog. Very informative. I’ve a question about your big burping engine: Why is it mounted in the stand at an angle like that? BTW, Congratulations to all involved! @ Aaron: You’re darn tootin’ that there was clapping and hooting and hollerin’. @ Mark: Excellent question! I am going to give you two answers. The first one is false, but it sounds so good that it is often told to young, impressionable engineers like I was twenty-some years ago. The second story is the truth. Once upon a time, test stands A-1 and A-2 were built to test the S-II stage as part of the Apollo Program. 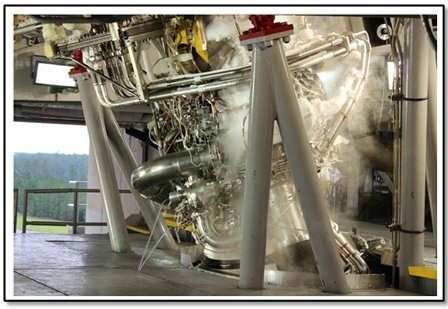 Then, in preparation for the Shuttle Program, they were both converted into single-engine test stands. So far, this is all true. Here is the truth. 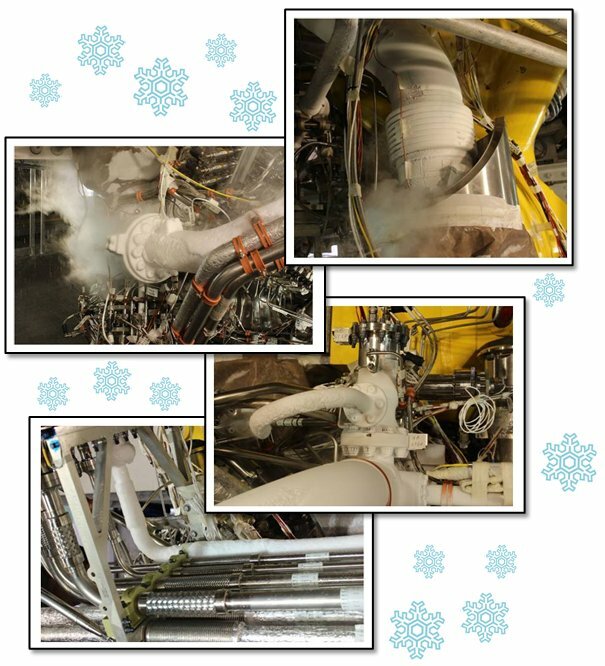 The SSME has the extraordinary functionality of being able to throttle to any power level between approximately 70% and 110%. This capability is used on Shuttle to limit the loads to which the orbiter and the crew are exposed during the mission. 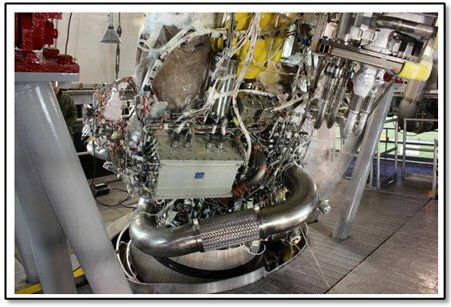 Another fact about the SSME is that it uses a very high expansion ratio nozzle in order to maximize engine performance (specific impulse, i.e., gas mileage analog). 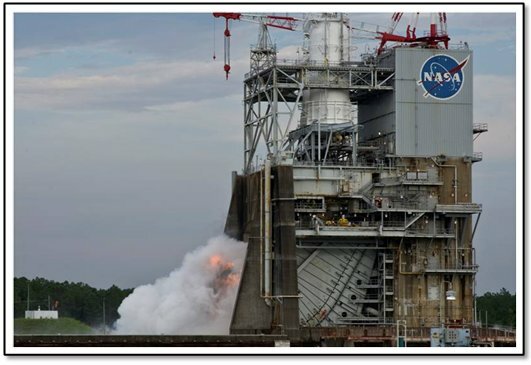 If you attempt to throttle down the power level of a high-expansion-ratio rocket engine at sea-level atmospheric pressure, you will eventually reach a point where the exit flow separates from the wall of the nozzle (fluid dynamics phenomenon). Severely separated flow in a nozzle is erratic, unstable, and can impose tremendous lateral forces on the nozzle, so much so that they can literally rip the thing apart. So, you have this necessary capability that you will need to test, but if you try to test it at normal conditions it’ll destroy the engine. What do you do? Well, what they did is they added a passive diffuser onto the test stand. This is basically a long tube that, when the rocket is running, self-pumps down to lower pressure levels thereby avoiding flow separation at lower throttle levels. Ta-da! And, in order to fit the diffuser into the stand without totally redoing the thrust bucket area, they had to cant the whole thing. And that’s why test stand A-2 has an angle to it. We’ve inherited the stand from SSME and so we’ve got that angle too. Now, when we go over to do testing on stand A-1, there is no diffuser (yet, we may add one later) and you’ll see that it is entirely vertical.